We need to feel cared for, not just to be taken care of. We need caring, sometimes even to stay alive. 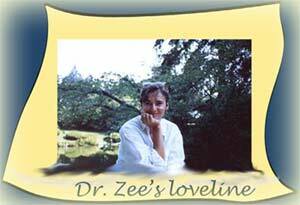 Dr Zees LoveLine explores: caring emotions, the heart of caring..
Fortune Cookie: In Love You Could Shine Like a Brilliant Star. It's not just make believe. Solution - easier said than done. and get rid of the baddies that have crept in. One of the biggest baddies is a storehouse of anger on both sides. That's great for getting quite some fire going - but the opposite of a love light. "It just isn't worth it." Next impulse - get angry back, frustrated, furious, irate, resentful. Often that's not very successful in resolving the issue, reaching the other, or getting out of my own anger. with passion, curiosity, initiative, pleasure. I don't care - life is dull, boring, a drag. So what, I don't care - I'm sullen, numb, angry, unless there are also things I care for. I care - I warm up. Caring connects me. To someone I know - partner, child, friend, family, student. 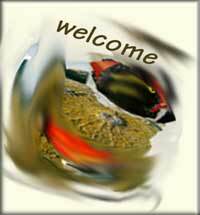 To someone in an novel, film, news report. To something - an interest, a concern, a passion. Caring also connects me to myself - I care about my health, future, life, well-being, choices. What Do We Really Want? Need? We have more things than ever, but that leaves many of us empty. So what do we really want, need? and 1 vital external resource. One of the most common cries for help in our society. Common problem, no easy common solution. But an approach to problems. Click here for Keeping the Lovelight Burning. The LoveLine - for fuller living.